Cyril Vaughn Bell was born in Peterborough on October 5, 1904. By the time he was six the family was in Toronto where his father worked as an Electrician for the local Streets and Railways. In 1929, along with his brother Eugene, he organized Commercial Signs of Canada mainly as a sign painting company. During the last half of 1941 and at the instigation of one of his young artists, Edmund Legault, Cy Bell’s company began putting out Canadian comic books to fill in a void caused by a parliamentary ban of the importing of American comics into the country that was put in place at the end of 1940. 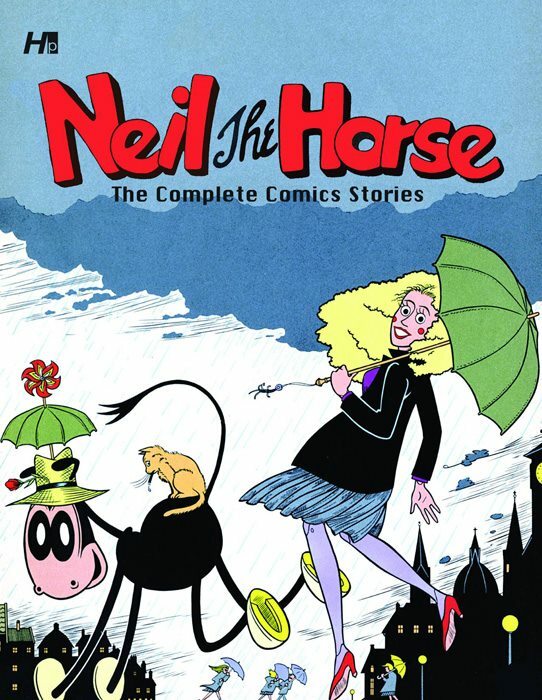 His first title was Wow Comics, and in the ensuing months he followed with six more titles, including Dime , Active, Joke, and Triumph Comics featuring such iconic characters as Nelvana of the North, Johnny Canuck, Speed Savage, Thunderfist, and The Penguin. In March of 1942, the company was incorporated as Bell Features and Publishing Company Ltd. and with its famous, trademark bell logo, the company’s output came to form one of the most recognizable set of books in Canadian war time production. During its peak years Bell Features produced about a hundred thousand comic books a week and employed over 60 artists. In 1947, Cy Bell wound up his company and turned the printing side of it over to his brothers leaving us one of the finest legacies in Canadian comics. Bell Features would continue without him until 1953. Bell himself operated a small resort hotel in Crystal Beach, ON until the mid-1960’s, at which time he returned to his roots and opened a small-scale sign business which he ran until his passing in the mid-1970’s. 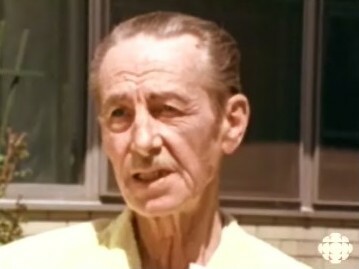 Edmond Elbridge Good was born on July 1 (ironically, now Canada Day then Dominion Day in Canada) 1910 in Saco, Maine to parents originally from the Maritimes. The family returned to Canada when Edmond was 10 and settled in Hamilton, Ontario. Edmond received his art training there and was hired as the first Art Director by Cy Bell for his comic publishing business. Good created his best known strip, Rex Baxter, as the lead feature for the new title Dime Comics in Feb. of 1942. He continued producing this feature and all the covers for Dime Comics until issue 13. After Adrian Dingle, Good did the greatest number of covers for Bell Features (Wow Comics 8-13, Commando Comics 1-6, and others. Good continued to work for Bell Features, even after Cy Bell hired Adrian Dingle as Art Director in the spring of 1942. Good also did a number of Canadian pulp covers during this period. He then left for work opportunities in the U.S. in late 1943. From 1944-46 he took over the “Scorchy Smith” newspaper strip from Frank Robbins and also worked on “Phantom Detective” in Thrilling Comics. 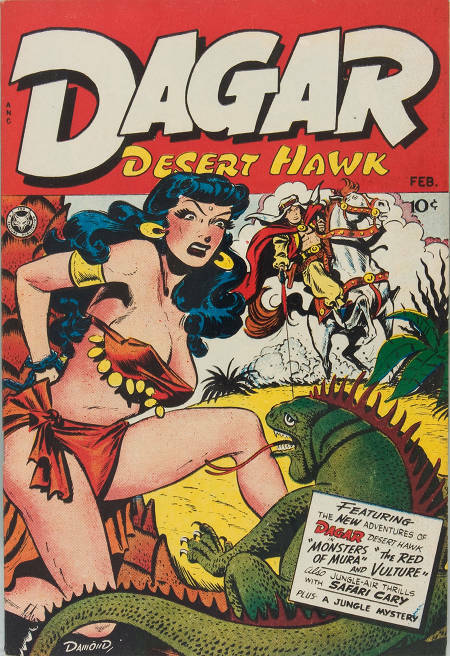 Good was the original artist on “Tomahawk” when the character began in Star Spangled Comics in 1947 and worked on Dagar Comics from 1948-9. His longest run, and perhaps favourite work, was on Monte Hale Comics for Fawcett from 1949-53. In the mid-fifties he started his own small publishing company called Good Comics Inc. and created Johnny Law, Sky Ranger for its short run. He continued to do commercial art and wrote radio and television scripts in the fifties. 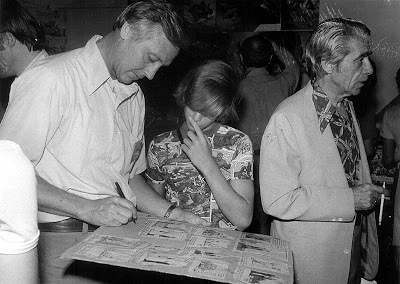 At the end of the fifties he had moved his family to Florida hired as the Art Director for Tupperware at their head offices there, a position which he held until his retirement in 1974. In 1977 he moved from Orlando to Altoona, PA. Edmond Good passed away on Friday, Sept. 13, 1991. 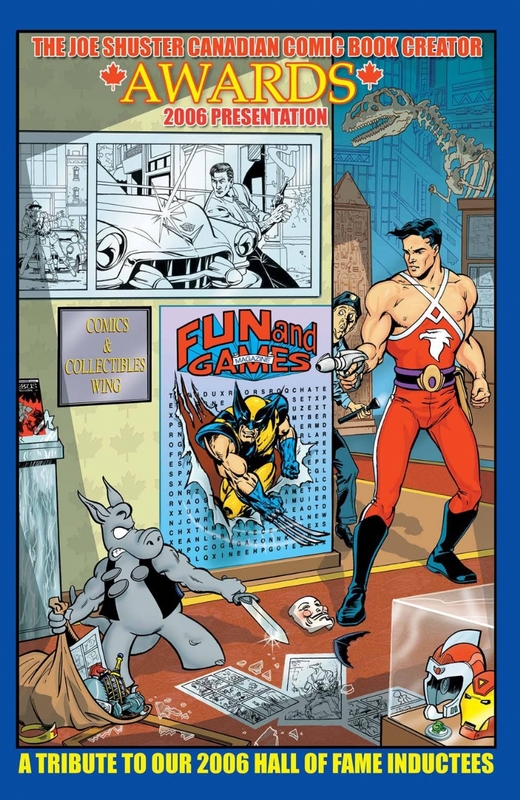 Few comic artists, Canadian or otherwise, have had the consistent and varied career of Ty Templeton. 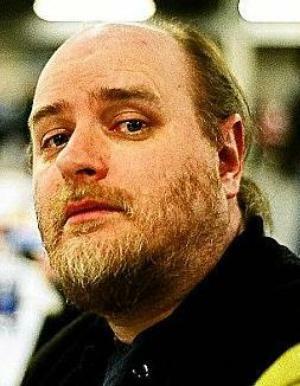 Born on May 9, 1962, Ty blazed on the comic scene in 1984 writing and drawing the Vortex Comics series, Stig’s Inferno, a modern take on Dante’s The Divine Comedy. Ty eventually took on the role of editor of Vortex Comics, overseeing various series including the company’s flagship title, Mister X. 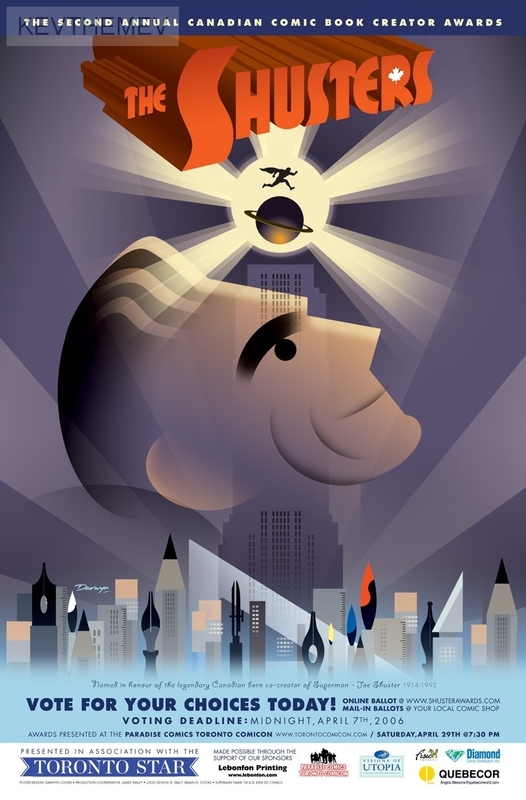 A talented storyteller, Ty has worked for almost every major publishing company writing or drawing an array of well known characters including Superman, Spider-Man, Star Trek, The Simpsons, She-Hulk, Howard the Duck, Ren & Stimpy, Scooby Doo and a celebrated run on Batman Adventures. Ty was the Editor in Chief of Canadian publisher, Mr. Comics, hiring almost exclusively Canadian talent to produce the critically respected series, Revolution on the Planet of the Apes, Hoverboy, and Dan Slott’s Big Max. 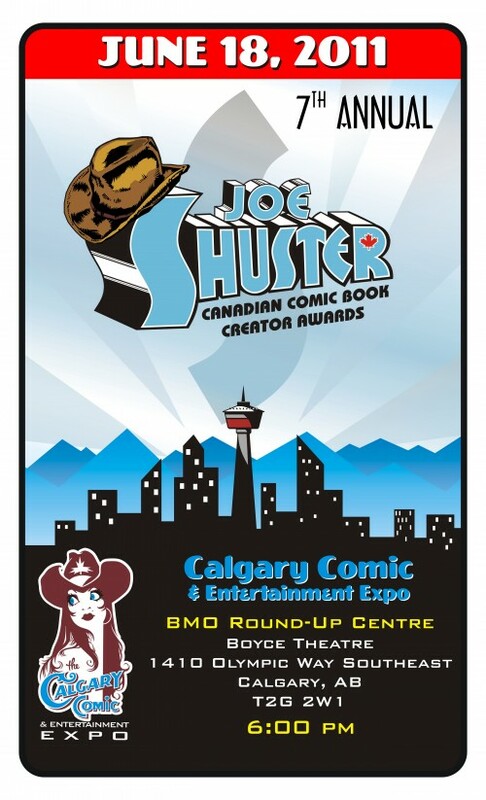 In addition to being a popular, gregarious ambassador of comics at Fan Conventions Ty is helping to train the next generation of Canadian comic artists through his popular series of comic book writing and drawing classes, Ty Templeton’s Comic Book Boot Camp. Presently Ty is the artist of DC Comics’ Batman ’66 Meets The Green Hornet and has a weekly webcomic ‘Bun Toons’. Selection committee: Kevin A. Boyd, Walter Durajlija, Joe Kilmartin, Ivan Kocmarek, Robert Pincombe, Rachel Richey. Biographies compiled by Ivan Kocmarek (Cy Bell, Edmond Good) and Robert Pincombe (Ty Templeton). 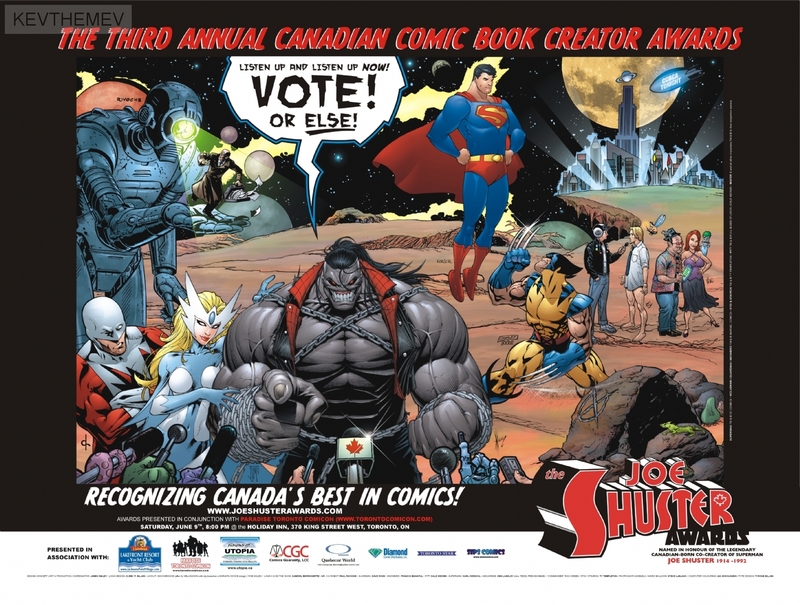 A lifetime achievement award honouring Canadian comic book creators (including editors and publishers) and associated individuals (historians, retailers) for their contributions to comic books. Those two Kickstarters we mentioned in July are now live, and both are performing exceptionally well for early into their campaigns. Both end at the end of August. 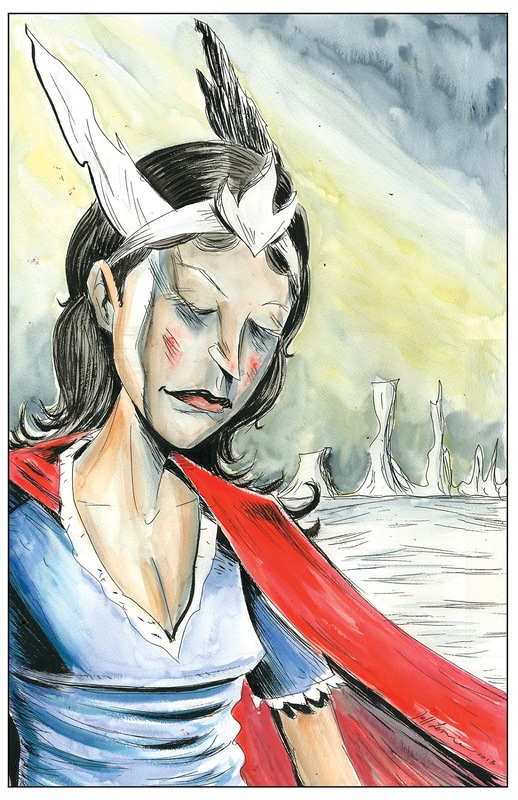 Last fall, the Kickstarter for restoring and reprinting Nelvana of the Northern Lights, Adrian Dingle’s Inuit goddess and superheroine from the Golden Age of Canadian Comics, was an astounding financial and cultural success. As one commentator said to me “the Nelvana revival was a zeitgeist moment” that was not only interesting historically and culturally, but also socially, as the project was orchestrated by two young women who met while working on the documentary “Lost Heroes”, namely Associate Producer Hope L. Nicholson and researcher Rachel Richey. Nelvana, though, is but one of many characters that appeared in the “Canadian Whites”, black and white comics available to Canadian youngsters in the early 1940’s when the War Exchange Conservation Act prevented Superman, Batman, Wonder Woman, Captain America and the Human Torch from Canadian newsstands. 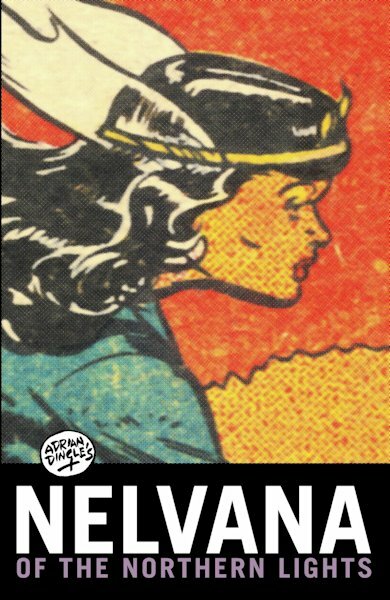 Nelvana was published by Bell Features, one of a handful of Canadian comics publishers from BC, Ontario and Quebec. Other dynamic characters made their debut in the pages of these hard-to-find disposable treasures, many of them were rugged Canadian frontiersman, fighting the good fight in the name of Queen and country. Two of those characters are about to reemerge from the mists of time as Hope and Rachel move in separate directions, handling the revivals of different characters. 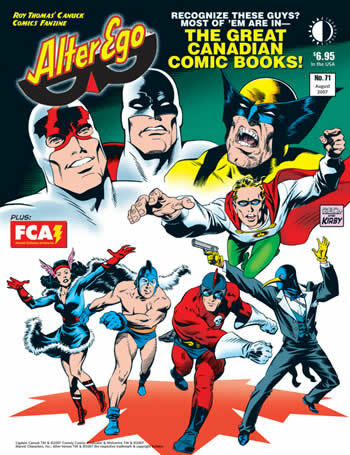 Plans are afoot to restore and republish other Golden Age Canadian characters after the first two – Thunderfist and the Penguin among them, but for now, two creators who are members of the Canadian Comic Book Creator Hall of Fame will have their most memorable characters brought to light. Both of these characters (see below) will hopefully be successfully funded by Kickstarter crowdfunding campaigns set to launch later this year. Johnny Canuck appeared on the 2005 Hall of Fame print, he’s the young fellow on the right of the upper ice platform wearing the jodhpurs and flight cap. In late 1940, John Ezrin, the manager of Bell Features, found a brash, unimpressed, young boy skimming through the company’s comics. 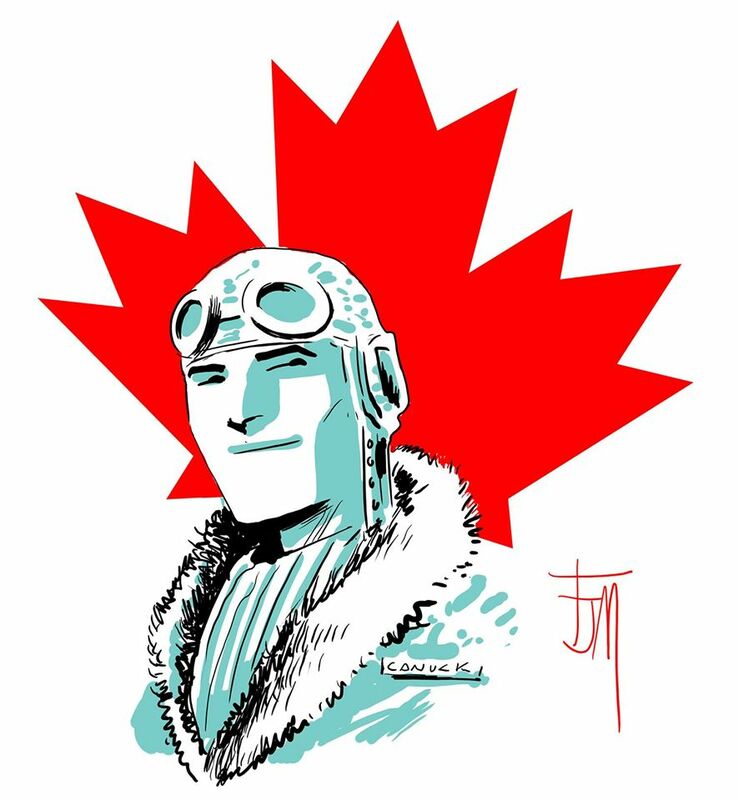 Ezrin challenged the youth to come up with something better and the next day, Leo Bachle walked into the offices with the first sketches of Johnny Canuck! The spitting image of his handsome young creator, Johnny debuted in Bell’s Dime Comics number one, dated February 1941. 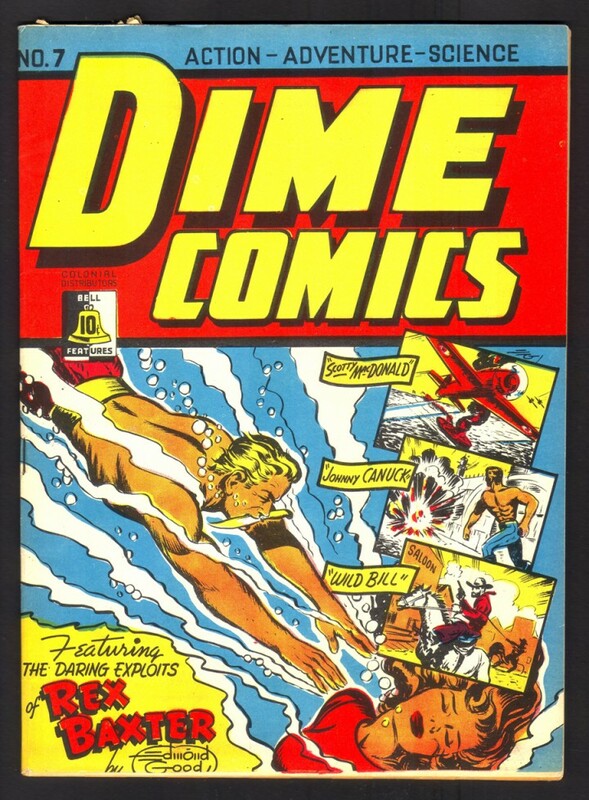 Johnny’s first adventure brought him face to face with Hitler and instantly made Dime Comics Bell’s top-seller. Johnny made mincemeat of Hitler’s elite guards, declaring, “The Germans had better make stronger rope if they want to hold Canadians captive!” Leo became one of Bell’s key artists, drawing characters like Wild Bill, the Invisible Commando, Chip Pipher, Southpaw, Super Sub and the Brain. Leo’s success opened the door for Bell to hire a cadre of young artists, including Ross Saakel, Ted Steele and Jerry Lazare. But it was Johnny Canuck who was considered so invaluable to the war effort, the government refused to grant Leo a visa to move to the States until he’d completed a backlog of adventures! Johnny Canuck remains Leo’s most enduring creation. In 1995, years after Leo had changed his name, given up comic books for a lifetime of touring and performing around the globe with his unique comedy act, “Quick on the Draw”, Canada Post honoured Johnny with his own postage stamp. Leo Bachle passed away in May, 2003. Born in Ulverston, England on December 23rd 1912, Jon Stables left school at 13 to follow his father and older brother to Winnipeg and become an artist. With the outbreak of World War II, he ventured west to Victoria and contributed to the war effort as a painter and sign writer for the shipbuilding industry. It was there he met his wife Esther and the pair were married in May, 1942. Shortly after, Stables was hired by Imperial News Ltd. to work for Maple Leaf Comics, one of the first golden age publishers of Canadian Comics. Stables fit right in with Maple Leaf’s British approach to comics and was by far its most accomplished artist, signing his work with the nom de plume, St. Ables. His facility with bigfoot-style cartooning in the prehistoric Piltdown Pete and equal ease with adventure strips like Brok Windsor and Bill Speed helped make Maple Leaf titles the slickest of all the Canadian Whites. 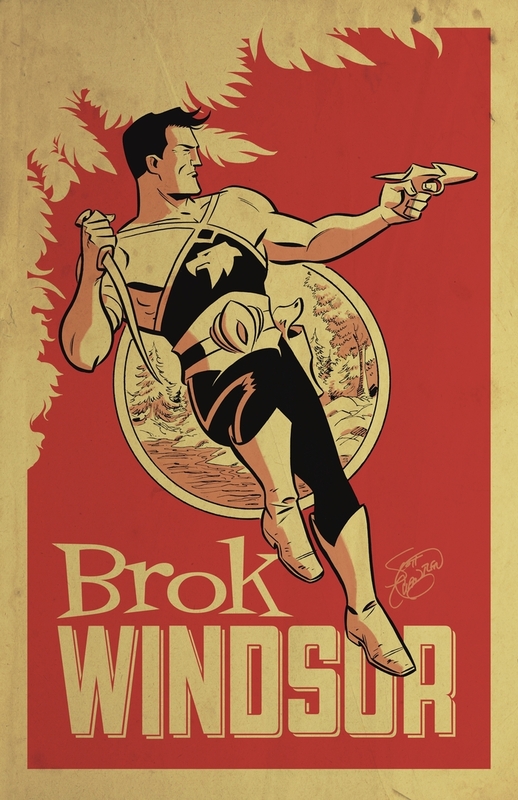 Brok Windsor debuted in Better Comics Vol. 3 Number 3, dated April/May 1944. Already a manly outdoorsman-type, physician Brok was portaging through the Lake of the Woods region and stumbled upon an island upon which he was transformed into a 7 foot tall muscle-bound specimen of the superhuman variety. Teaming with the 12 foot tall son of the chieftain of a unique Native Canadian tribe that lives in this uncharted territory named Torgon. Brok, needing the unique serum that enables Torgon’s people to endure the physical transformations, embarks on a perilous journey to find the special waters. Brok and Torgon would go on to have many Burroughs-inspired adventures. Stables eventually took over the art editing chores from publisher and fellow creator Vernon Miller and became the line’s top cover artist. In 1946, Maple Leaf made an effort to launch several syndicated comic strips based on their features Callaghan and Bill Speed but were unable to make significant inroads. With two sons to support, Stables and Esther opened a studio and briefly produced a line of colouring books. In 1950, the family moved to California where Stables attempted to pitch ideas and artwork to Disney. Eventually Stables settled in Seattle, working in the art department at Boeing until retiring in 1975. Jon Stables passed away in 1999. He was 87. Bio compiled by Robert Pincombe (with the aid of Peter Hansen), with details on Brok Windsor supplied by Ivan Kocmarek. Is it time to start flag-waving? There seems to be a lot of media attention this week once again regarding Canadian super-heroes – specifically the comics of the 1940s. 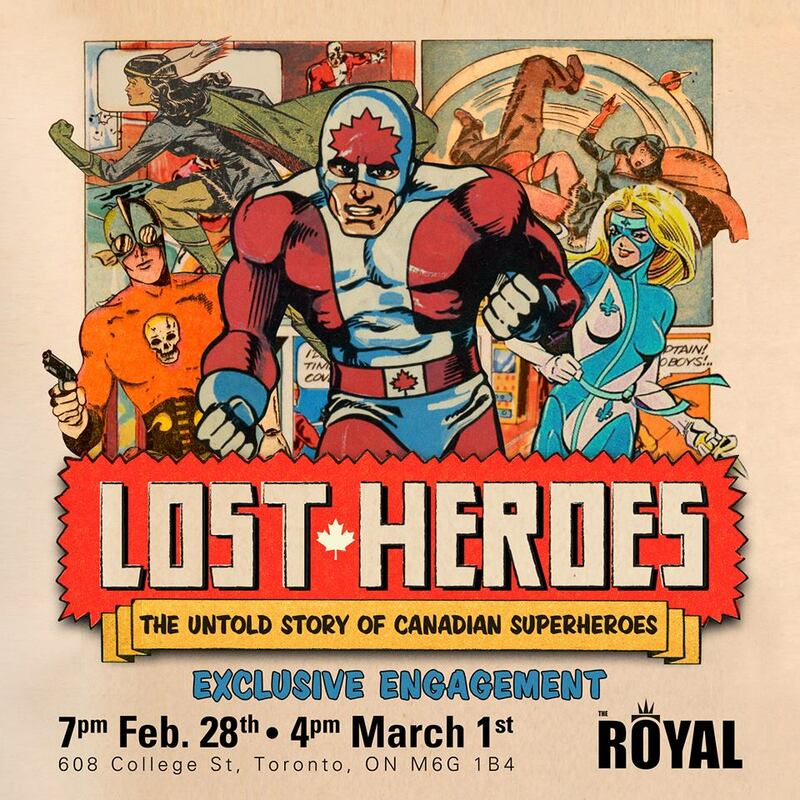 This weekend – tonight and tomorrow afternoon – the Royal Theatre in Toronto will be hosting two screenings of the now-completed LOST HEROES Movie, directed by Will Pascoe. 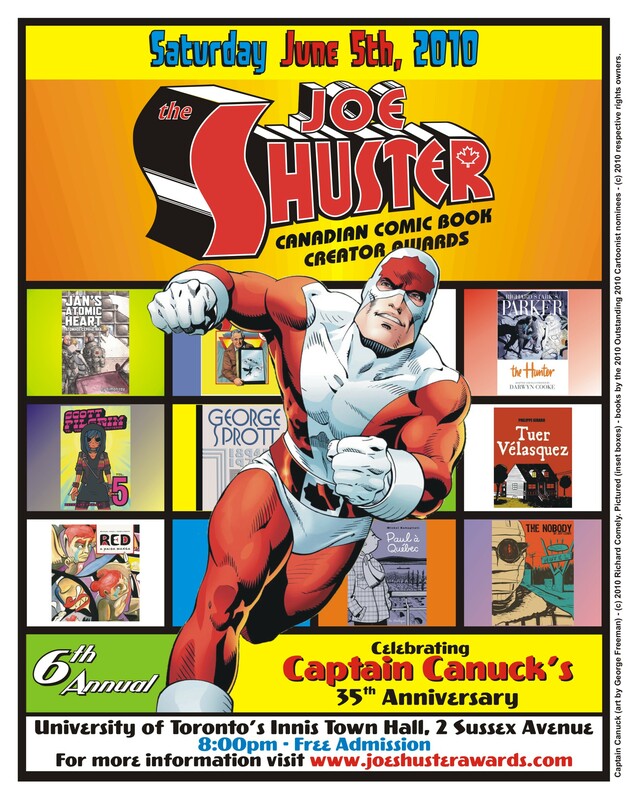 Members of the Canadian comics scene – creators, academics, media personalities and so on — were brought in to discuss aspects of the Canadian comic book super-heroes of the past and the present. After this two screening event (note that there will be a director Q&A after the Friday evening screening but not the Saturday one) the film moves to Superchannel where it will run at various times and on various dates. 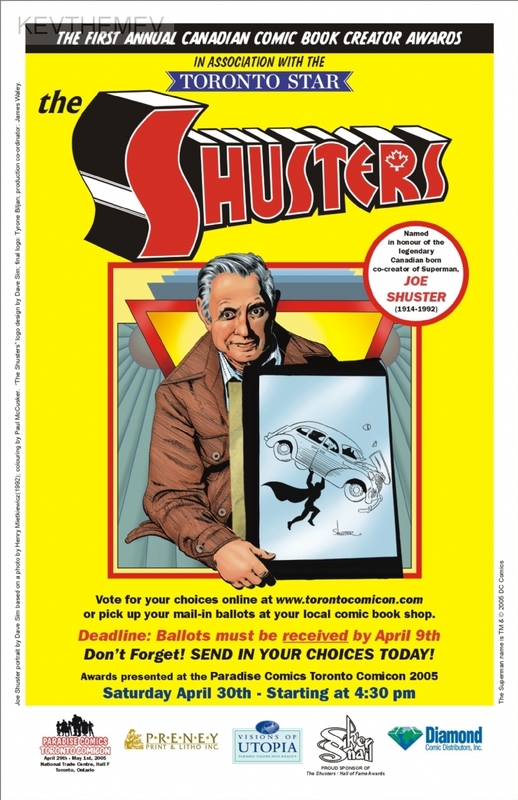 LOST HEROES is the story of Canada’s forgotten comic book superheroes and their legendary creators. A ninety-minute journey to recover a forgotten part of Canada’s pop culture and a national treasure few have ever heard about. LOST HEROES is the tale of a small country striving to create its own heroes, but finding itself constantly out muscled by better-funded and better-marketed superheroes from the media empire next door. 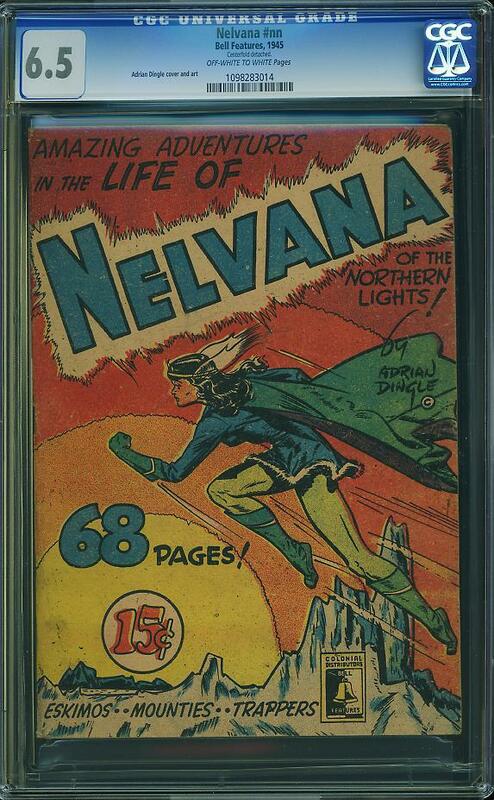 Incidentally, American comics auction house Comiclink recently auctioned off a number of hard to find Canadian whites, including a CGC 6.5 graded copy of the Nelvana of the Northern Lights Colour Special – it sold for a whopping $13,750. New Canadian Superhero Age dawning? 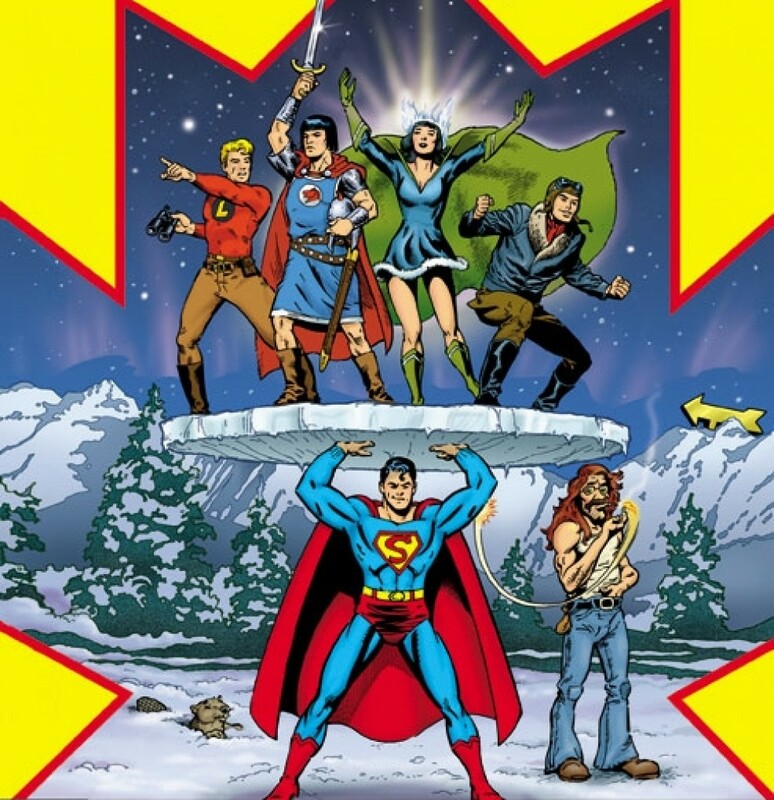 Continuing the ongoing discussion — are we prepared for a new age of home grown Canadian superheroes? Certainly there are many people who feel that yes, we are. 1) Captain Canuck the recently launched animated web series is spinning off in the near future back into the medium that inspired it – namely comics. The new series is by the updated character designer Kalman Andrasofszky and friends. 2) True Patriot 2 (aka 2rue Patriot) — the first volume was successful enough to warrant a sequel, and the crowdfunding for it launches next month (November 2013). 3) The return of Canadian Whites heroes? 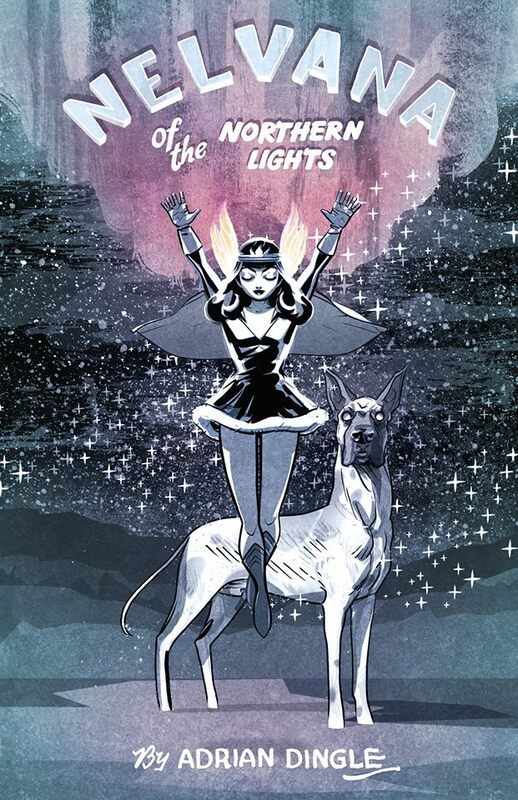 It’s no secret that the publishers of the upcoming Nelvana reprint really, really, really want to do new comics featuring Nelvana of the Northern Lights. Will the Dingle family give them permission to do them or do they have to wait until 2025 when she becomes a public domain character? Could other characters be far behind or already in the works? Is the race on to secure the licenses of whites characters such as Dizzie Don? The Penguin? Nitro? Major Domo? Iron Man? Johnny Canuck? Time will tell. How does Mister (or Mr.) Monster fit into all of this? At New York Comic Con I was told by a DC editor not to expect this new title, written by Jeff Lemire and illustrated by Dough Mahnke, until well into 2014… after some of the upcoming events of Forever Evil have played out in the pages of the old Justice League of America title. How about the Northern Guard? Or Northguard? What about Alpha Flight? 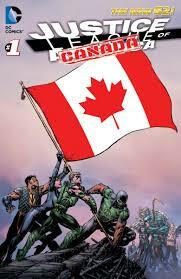 Is it time for another revival of Marvel’s erstwhile Canadian team? 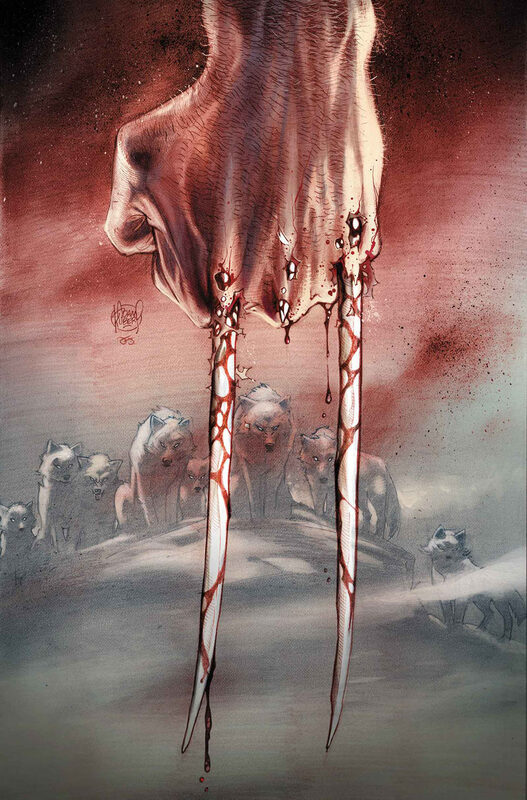 The upcoming Wolverine Origin II will probably take place in Canada given it has snow, and wolves… and Wolverine. Unfortunately the recent Indiegogo campaign raised about 10% of what they were hoping to get, at least Indiegogo allows them to keep the money they did raise. Nelvana campaign meets target in 6 days. 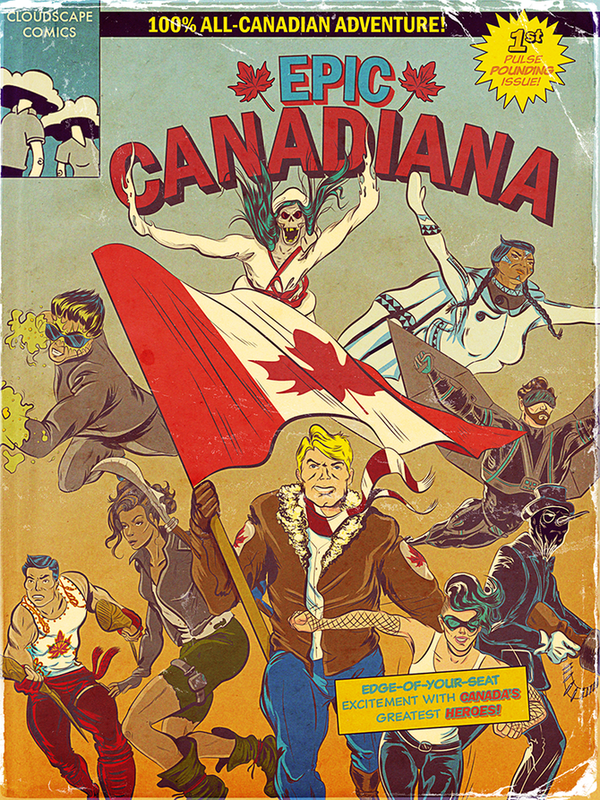 The Kickstarter campaign for the reprinting of Adrian Dingle’s Nelvana of the Northern Lights stories from Triumph-Adventure (later just Triumph) Comics published between 1941 and 1946 by Hillborough Studios/Bell Features has reached it’s aggressive target of 25,000 in 6 days and has resulted in exposure of the character and the Canadian golden age to a number of people not aware of Canada’s short-lived comic book industry of the 1940’s. The Kickstarter campaign launched on Tuesday, October 1 – and as of this writing it is currently at just over 27,000 with 454 backers and has three weeks left. Backers were tempted with perks such as new Nelvana drawings by industry pros like Francis Manapul, Jeff Lemire and Ray Fawkes. A reprinting of the Bell Nelvana colour one-shot, as well as prints and calendars by a number of different artists and a limited edition hardcover. 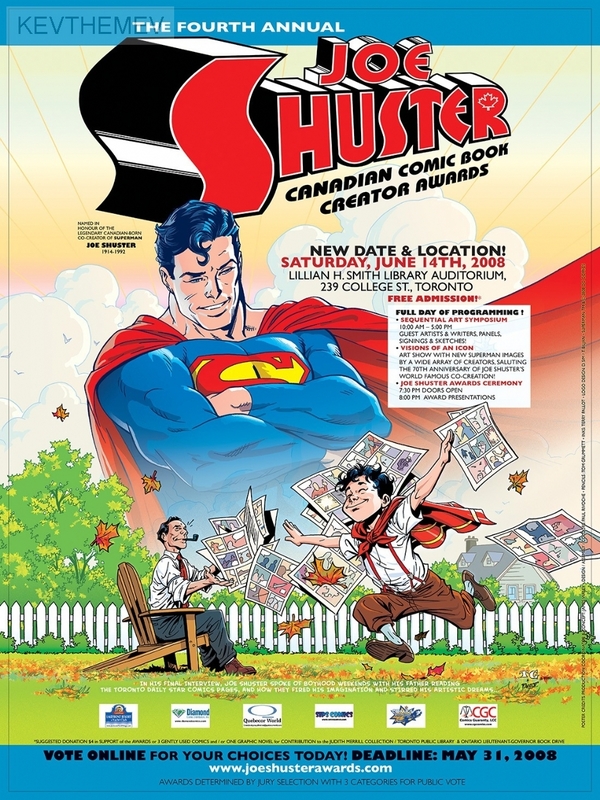 The editors, friends and supporters celebrated last night with a party at the Harry Kremer Award winning Silver Snail comic shop in downtown Toronto. Nelvana and her brother by Toronto artist Alexander Perkins. Created for the campaign. 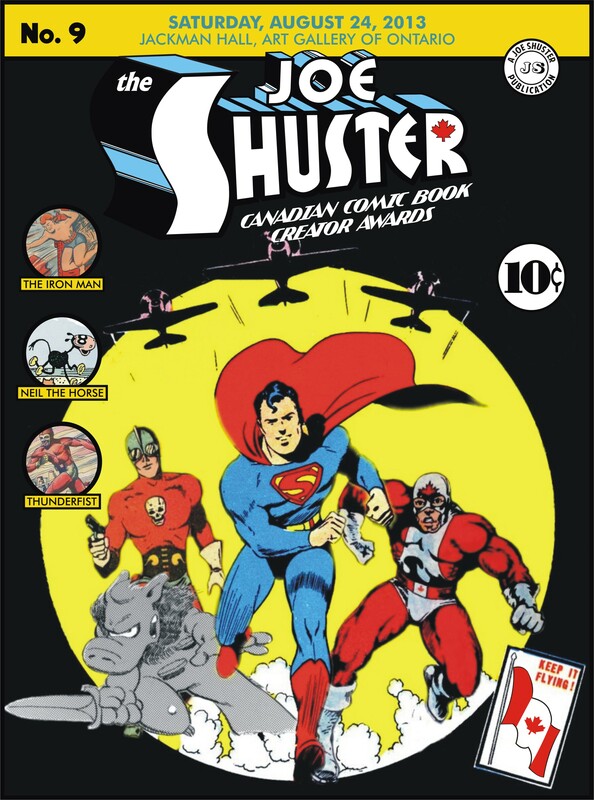 Here at the Joe Shuster Awards, you can’t discuss English Canadian comic books without some sort of recognition for the 5+ years when English Canada actually had it’s own comic book publishing industry. It’s something that has never quite been repeated in our history, despite a slow boom of self-published books in the mid-to-late 1970’s and early 1980’s and a handful of Canadian publishers over the years like Aardvark-Vanaheim, Renegade Press, Vortex, Drawn & Quarterly, Red 5 Comics, Conundrum Press and Koyama Press. 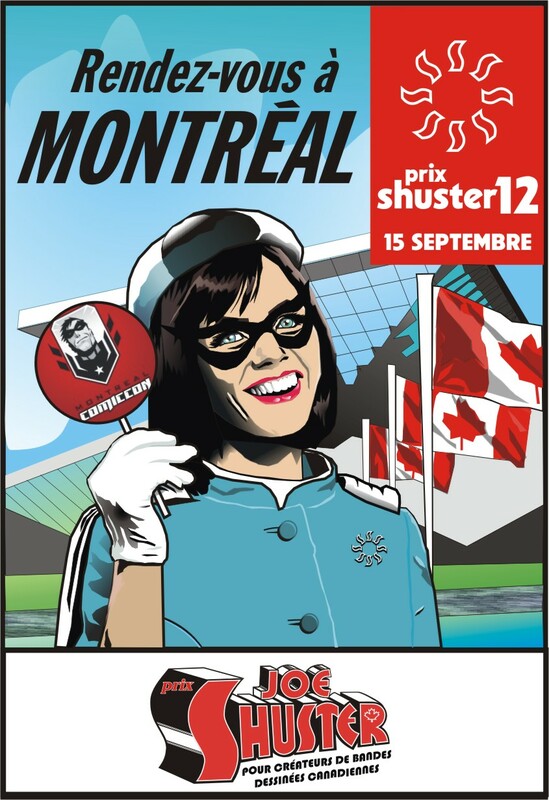 On the flip side, French Canada (specifically Quebec) has had an active comics publishing industry for the past few decades. I had the pleasure to sit on a panel entitled the Canadian Superhero Renaissance at Fan Expo Canada on August 23rd, and had to decline participation in the Golden Age of Canadian Comics panel on Sunday, August 25 (Rachel Richey had an important message to relay and I could not justify both of us being away from the Comic Book Lounge booth). 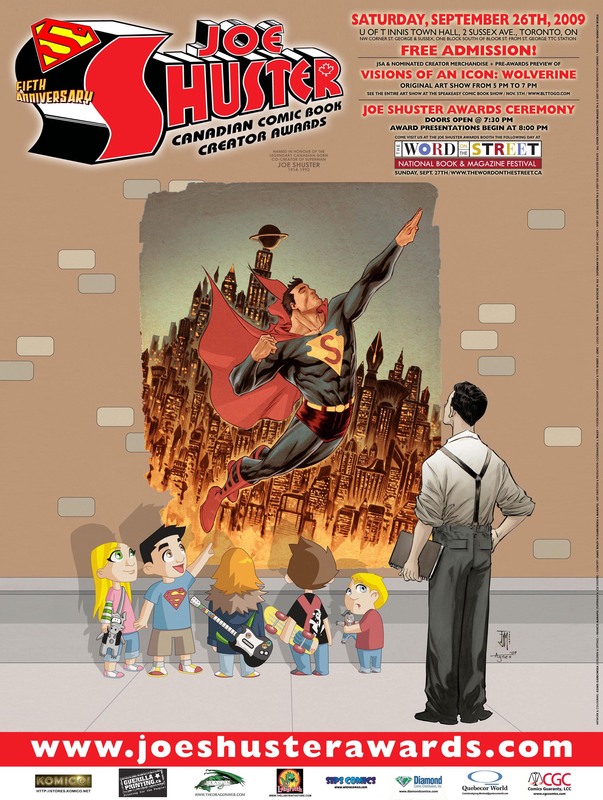 With the completion of this year’s Joe Shuster Awards I’ve had some more time to digest the material that came out of those panels and the discussions I’ve seen online.